Clearing out clutter is an important part of every homeowner’s maintenance plan. Whether a person is moving or just needs to create more space, it is important to find a home for each one of a person’s belongings. Over time, household items, such as furniture and knickknacks can begin to accumulate. For this reason, storage units can be an ideal way to get these items out of the house while still making them available for use in the future. Many times, a person’s belongings take up more space than they have available in their home. Additionally, a person may need to find a place to store their cherished items temporarily while they remodel or move into a new home. 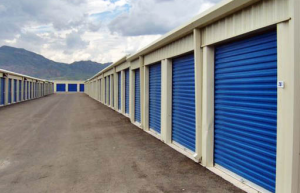 Storage units offer the perfect solution to a person’s storage problems as they come in a variety of sizes with features, such as climate control, to help keep items in good condition. Storage units can be the perfect place to store any household furniture, appliances and other items that will not be needed immediately. A few of the most common things to be stored in a unit are seasonal items, clothing and large pieces of furniture. Sentimental items, such as antiques, can also be stored in a unit until a person has found the perfect place for them in their home. Home organizers also recommend storing clothing and decorations that can be rotated each season in storage units to avoid cluttering up bedrooms and closets. Before placing any item in a storage unit, it should be packed carefully in order to ensure that it will not be damaged. 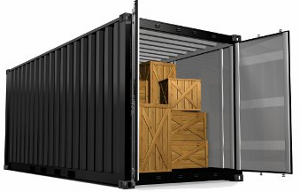 Even in climate-controlled units, it is best to make sure that every item is placed into a box or wrapped in plastic. This will help to keep it free from becoming soiled by dust. It is also important to label each item so that it will be easy to identify what is held in each container. When moving items into storage, it is also important to make good use of all of the space that is available. This can be done by stacking boxes and breaking down furniture into smaller parts. Covering anything that cannot be boxed is also a good way to keep things free from scratches. In order to create a more organized home, it may be necessary to store some items in a storage unit. This not only frees up space, but it will also help to ensure that a person’s cherished belongings will be free from becoming soiled or damaged. For this reason, a person may want to consider the benefits of moving their items into storage when planning for home organization. Jennie operates several self storage units in Brandon FL. When recommending storage facilities to friends and family in Gardena CA, she recommends using Extra Space Storage in Gardena.